Sometimes, you just need to loosen the reigns and treat yourself a little. Doing this is not always straightforward though because you run the risk of making unhealthy choices if you opt for the conventional foodie treats. It doesn’t need to be that way though. There are so many great ways to make the most of food and drinks to treat yourself without throwing your health under the bus at the same time. Read on to find out about some of the most flavoursome and healthy ways to treat yourself. Sure, we all love ice cream but if you’re trying to stay healthy, that’s not the kind of food you should be looking to buy. There are lots of good alternatives to ice creams though, and the very best is Greek yogurt. There are plenty of ways to get this right. It’s a good idea to try mixing fruit into the yogurt and then freezing it. It’s a simple way to enjoy a frozen treat. If you love coffee, one fantastic way to treat yourself is to improve your approach to coffee drinking. That instant stuff that most people use is nowhere near as good as buying your own beans, grinding them and making coffee that way. It allows you to try all kinds of beans from around the world and see which you prefer. Alternatively, things like Two Chimps Coffee subscription service allow you to get high quality coffee without the work. It’s up to you which you choose. After a nice meal, there’s nothing better than an incredibly dessert. 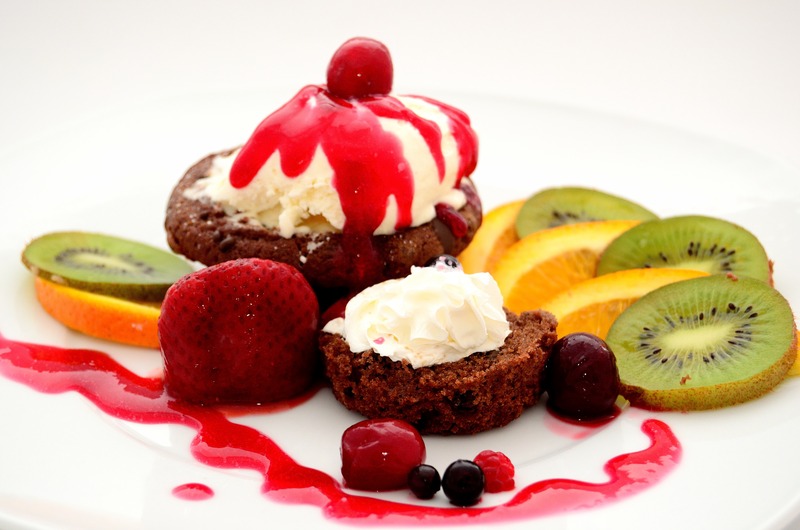 But rather than focusing on cakes and chocolate, try to find desserts that are based primarily on fruits. You still get that sweet flavour, but you don’t get all the other stuff that comes with most desserts that damages your health. These options prove that is is possible to eat a relatively lean dessert that tastes great. If you’re a chocolate lover and you simply can’t cut it out of your diet completely, there is one simple swap you can make. There are some health benefits of eating dark chocolate, so make this your chocolate or choice rather than dark chocolate. It can help your heart and it still tastes great; just don’t eat too much of it because it can still cause you health problems. Smoothies can be made from nothing at all but fruit, and that’s what makes them healthier than most soda drinks. They full of natural sugars rather than added sugars, and they provide all the benefits of eating fruit, so experiment with different combinations and see what you can make. All of these ideas show you that you don’t have to completely throw your health away if you want to treat yourself and eat some great food. It’s more than possible to enjoy food to the maximum in a relatively healthy kind of way, so don’t believe anyone who tells you otherwise. A lovely reminder for me. I have healthy for a few years now, with the odd treats allowed. But after I wasn’t well for a few months, towards the end, I seemed to have slipped of the rail and I still am after the death of my cat recently. These are good reminders of what I can have in place that I seem to be thinking of what I really fancy. I am going to get some greek yogurt in, as I like this and try this frozen with fruit. I have not had greek yogurt frozen before.